Q. How do I format a paper in APA style? When you write a college paper, your professor may ask you to use the APA Style. This is a standard way to format the look of your paper and your references. Here's a snapshot of what the cover page, first page of the paper, and last page of your references might look like in APA. The Basic APA Format handout below gives you instructions about how to set it up. There is a simplified APA template Word document you can download and save under your own name if you need more help working with documents in Word. 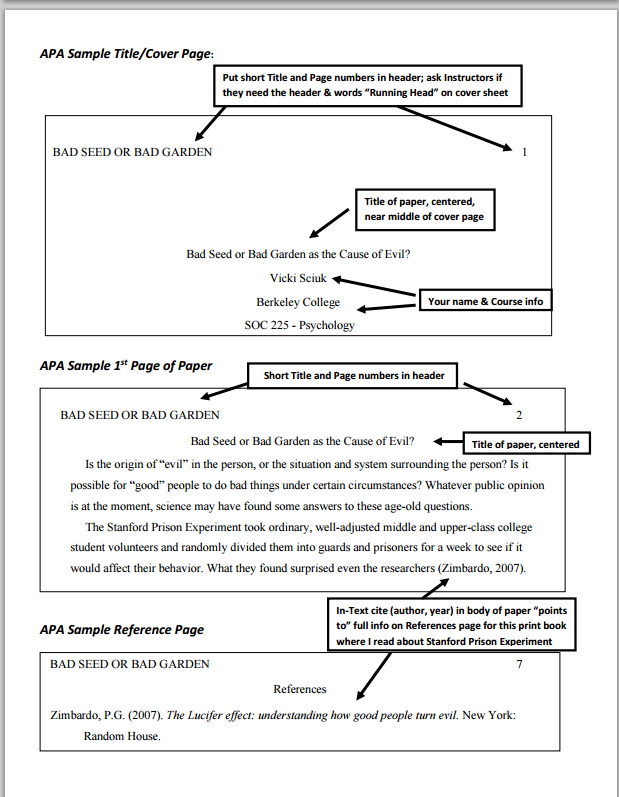 Click the link below, then download the APA Paper Template from the box on the left side of that page, and save it to your computer or flash drive (USB memory stick) so you don't lose your work. Also change the document name to your name and paper title or course number when you save it.